There are lots of different ways you color in your stamped images but using watercolor paints really makes you feel like an artist. 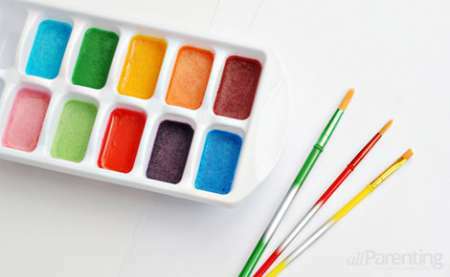 If you really like DIY here’s a great way to actually make your own watercolor paints using supplies found around your house. This would be a great way to get exactly the colors you’re looking for! Find complete directions over on the All Parenting website.